Elixir 12052 NANOWEB coated, light gauge electric guitar strings deliver the presence punch and detail of traditional electric guitar strings. But when it comes to tone life there is no comparison. 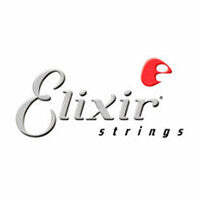 Players report with Elixir Strings their tone lasts longer than any other string uncoated or coated. If you have any questions, give us a call or stop by our Ken Stanton Music Marietta, Woodstock, West Cobb, Stone Mountain or Alpharetta locations to check out and save on a new set of Elixir strings today.